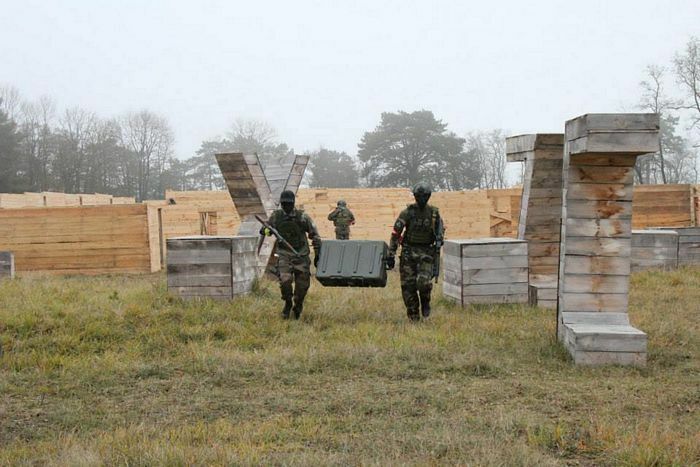 "The Citadel" is Western Europe greatest airsoft field! Conveniently located On the French Belgian Border. The Citadel is about 90 hectare in size and has an urban/industrial/post-apocalyptic feel, befitting its origin as an old Military training base. In operation since 2013, we are committed to bringing honest and sportsmanlike airsoft players the very best airsoft experience at an affordable price. Givet Adventure is a fully insured, safe, well supervised and highly structured airsoft playing field. Almost Each week we employ different play variants to keep the experience fresh and interesting. We employ lots of different cool props in the scenarios, and constantly re-invest time and money into the field building new structures and expanding different areas. If you played @ the Citadel you never want to play another field. Airsoft is a sport in which participants eliminate opponents by hitting each other with spherical non-metallic pellets launched via replica firearms called Airsoft guns. Gameplay varies in style and composition but often range from short-term skirmishes, organized scenarios, C.Q.B., field, or historical reenactments. Combat situations on the battlefield may involve the use of military tactics to achieve objectives set in each game. Participants may attempt to emulate the tactical equipment and accessories used by modern military and police organizations. Airsoft originated in China, then spread to Hong Kong and Japan in the late 1970s. Airsoft guns spread to the UK in the late 1980s with a company called LS. The guns were sold in pieces and had to be assembled before they were capable of firing pellets. Airsoft equipment was designed to closely emulate real guns. Since the mid-1980s, airsoft guns have been adapted with a purely recreational application in mind and the sport is enjoyed by all ages. Airsoft replicas are produced globally, with the majority being manufactured in Asia. Many law enforcement agencies in the US use Airsoft for force-on-force training drills.